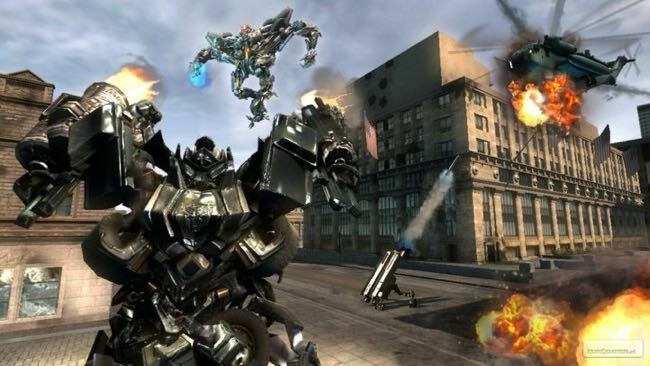 LONDON — Designed to give devoted fans of the 2007 “Transformers,” which grossed more than $700 million worldwide, more of the same, Michael Bay’s sequel “Transformers: Revenge of the Fallen” is a nonstop whirl of flying, battling and crashing machinery. Characters and comedy are in short supply in a plot that’s basically an Indiana Jones-style search for a buried treasure, in this case a 1,000-year-old matrix that will give life back to Optimus Prime, one of the alien robots who is on the side of humans in their fight against the evil Decepticons who are out to destroy them. With Shia LaBeouf and Megan Fox (picture below) back as the leads and massive battles involving ships, planes, tanks, rockets and industrial level shape-changing machines, the film will make another huge dent in the global boxoffice. With its intelligence at the level of the simple-minded, however, the film is not likely to attract moviegoers who seek something more than a screen filled with kaleidoscopes of colored metal. Fan boys will no doubt love it, but for the uninitiated it’s loud, tedious and, at 147 minutes, way too long. LaBeouf’s nerdy character Sam is off to college in this one. He barely has time to meet his new roommates before the war games begin. Fox’s hot-chick car mechanic Mikaela has come to visit, and the two are soon off on the international hunt for the missing matrix. Sam’s nitwit parents (Kevin Dunn, Julie White) are on holiday in Europe. They also get involved along with college fellow Leo (Ramon Rodriguez) and eventually Simmons (John Turturro), a former agent who now works at his mother’s butcher shop. Rainn Wilson is wasted in one scene as a snarky professor. Tyrese Gibson and Josh Duhamel return as stalwart soldiers, and there’s the expected army of cars, trucks, assorted vehicles and mechanical implements that can become nasty metallic beasts in a flash. The long climax takes place in the Egyptian desert with ancient secrets to be found inside the pyramids with explosions going off all around. Bay’s team of four editors stitch together smashing but meaningless images, though it’s as difficult to make out which machine is which as it is to tell what anyone is saying. The noise level -– not helped by Steve Jablonsky’s relentless score – is super-intense and everyone yells lines at high speed. Because nothing they’re saying makes any sense, it’s hardly important. LaBeouf gets little chance to show what charm he might have. Meanwhile, Fox has little to do except look great in a tank top and tight jeans while running in slow motion through flying sand. Opens: UK: June 19 / US: June 24 (Paramount); Cast: Shia LaBeouf, Megan Fox, Josh Duhamel, Tyrese Gibson, John Turturro, Rainn Wilson, Jon Voight; Director: Michael Bay; Screenwriters: Alex Kurtzman, Ehren Kruger, Roberto Orci; Director of photography: Ben Seresin; Production designer: Nigel Phelps; Music: Steve Jablonsky; Costume designer: Deborah L. Scott; Editor: Roger Barton; Producers: Tom De Santo, Lorenzo di Bonaventura, Don Murphy, Ian Bryce; Executive Producers: Steven Spielberg, Michael Bay, Brian Goldner, Mark Vahradian; Presented by DreamWorks Pictures, Paramount Pictures in association with Hasbro, Di Bonaventura Pictures. Rated PG13; running time, 150 minutes. This entry was posted in Film, Reviews and tagged 'Transformers: Revenge of the Fallen', Megan Fox, Michael Bay, Shia LeBeouf, The Hollywood Reporter. Bookmark the permalink.